Green tea might be might be tasty and refreshing, and it might seem like a natural way to ward off cancer, but in concentrated amounts it can also damage your liver. Comfrey is so dangerous that comfrey tea is no longer sold in the United States, and other herbs have also sent people to the hospital. New guidelines from the American College of Gastroenterology caution consumers about relying too much on “natural” or “herbal” products, especially in the mistaken belief that they might be safer than prescription drugs. They’re often not, says Dr. Herbert Bonkovsky, of the Carolinas HealthCare Systems in Charlotte, who helped write the new guidelines. “A lot of consumers have a preconceived notion that if it’s a natural product, it must be safe. But that is not necessarily the case,” Bonkovsky says. Some products, such as concentrated green tea extracts, may contain many more times the safe dose of a product. Other times, products may be contaminated. Recent examples include “all natural” slimming products that contained not only the discontinued prescription drug sibutramine, but phenolphthalein, a laxative that’s also been pulled out of pills because it might cause cancer. Tylenol can cause deadly liver damage, as can overdoses of vitamin A. Then there are the sexual enhancement products that are contaminated with prescription drugs. But sometimes it’s the herb itself that is dangerous, says Bonkovsky. “Obviously, there are lots of things in botanicals, hundreds maybe even thousands of compounds,” he said. The active ingredients are a class of compounds called catechins. “They can deplete some of the protective molecules in cells such as glutathione that are there to protect us from injury. A high dose of green tea extract can lead in susceptible persons to actually quite severe or even fatal liver injury,” Bonkovsky said. One of the catechins most suspected is epigallocatechin-3-gallate (EGCG). “We don’t really fully understand the basis for the susceptibility, but it seems likely to be a combination of genetic factors…but also maybe related to their diets, to whether or not they have been drinking alcohol,” he added. 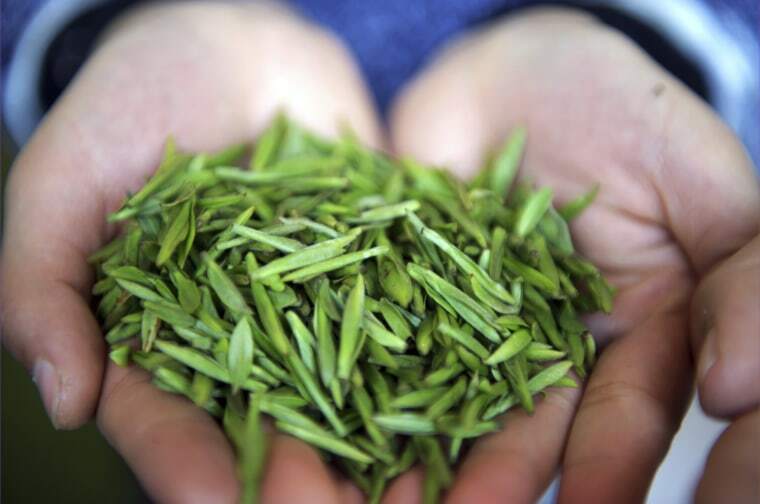 The U.S. Food and Drug Administration has rejected some of the health claims made by makers of products using green tea. Comfrey contains has toxic substances called pyrrolizidine alkaloids that damage the liver, sometimes fatally. Comfrey is no longer sold in the U.S., except in creams or ointments, but even used this way the alkaloids can build up in the body. Kava kava is made from the roots of the plant Piper methysticum, best known as the basis for a ceremonial drink in Oceania but also sold to treat anxiety and insomnia. It’s been documented to have cause liver damage in as many as 100 people, however, and its use is banned or restricted in Germany, Switzerland, France, Canada, and Britain. Skullcap was traditionally used by Native Americans to treat anxiety, stress and insomnia. Chinese skullcap is a different species, but both are suspected of causing liver damage. Skullcap is often used in products containing multiple herbs, so it’s not entirely clear that skullcap is entirely to blame. But it’s something to keep an eye on. Chaparral, an extract of a shrub known as creosote bush, is used by people believing it can benefit conditions ranging from skin rashes to cancer. The suspected liver-damaging compound is one called NDGA. It’s possible that people with liver injury from the herb are having a type of allergic or immune reaction to it. But it’s been severe enough in some cases to have forced an emergency liver transplant. Sign up for top Health news direct to your inbox. Liver injury is difficult to diagnose, Bonkovsky says. “Symptoms are pretty non-localized,” he said. They can include feeling tired, low appetite, a feeling that food isn’t as tasty as usual. “There might be some pain in the area of the liver, in the right upper part of the abdomen,” he said. Jaundice – yellow skin – is a big red flag, as is dark-colored urine. “If people have any sign of that, they should stop whatever they are taking and seek medical attention,” said Bonkovsky.